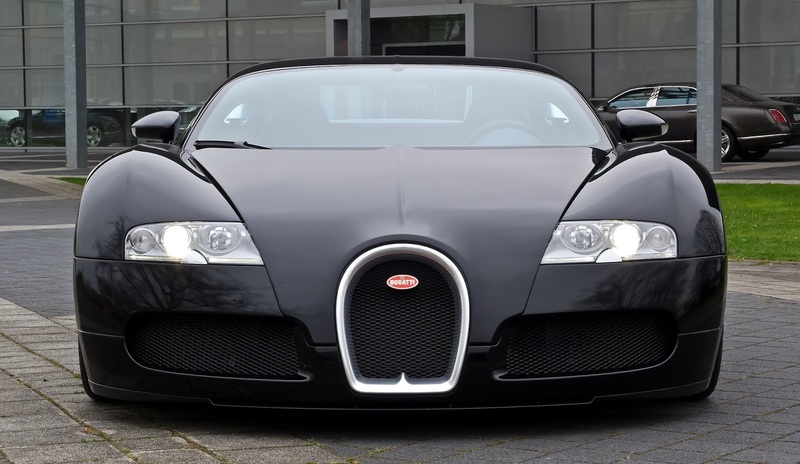 Superlatives abound with the Bugatti Veyron. The list of ways in which it outstrips virtually every other car on the road is a long one! Top speed - 253mph. Peak power - 987bhp. That was produced by a W16-cylinder motor ... effectively, two V-8 units conjoined. Cubic capacity 7,993cc. The Veyron had 4 turbochargers. It used a 7-speed sequential 'box - hooked up to 4-wheel drive. Its engine was cooled by 10 radiators. 0-62mph came up in 2.46s. The 'active aerodynamics' kicked in at 137mph. As tech spec for a roadster goes, that is as impressive as it gets! The price tag? €1.1m. Volkswagen took over Bugatti in 1998. Of course, they were looking to make a splash! But it took them seven years to do so. By 2,005, though, a factory had been built for a game-changing supercar. Just 300 Veyrons were made. The car itself did not make much profit. The costs incurred by a car like the Veyron are not easily recouped! Its value to Bugatti was as a loss leader. The prototype Veyron made its début at the Paris Motor Show, in 2004. It was a dazzling affair! The Veyron's bodywork was breathtaking to behold. Molsheim, Alsace - Bugatti's Gallic HQ - had come up with an absolute stunner! The Bugatti faithful were blown away. To the true believer, the Bugatti Veyron was little short of an automotive miracle!